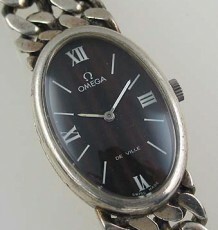 Solid gold Ladies bracelet watch. 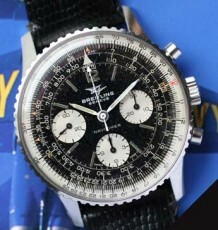 A very unusual watch to be made by a company well known for their vintage Aviation Chronographs. 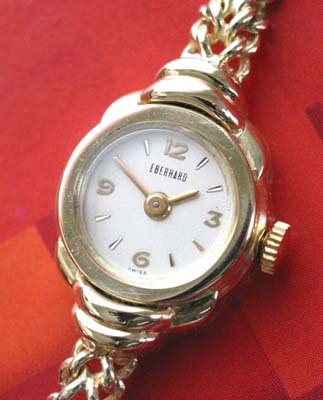 This highly sculpted watch features a solid 14 karat yellow gold case that is hinged at one end and opens to reveal a fully signed Eberhard & Co. 17 jewel manual wind movement. 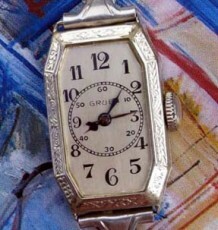 The movement was just serviced and keeps excellent time. The integrated 14 karat gold serpentine bracelet is in excellent condition with no stretch or broken links and measures out to fit a 7 inch wrist. The simple yet elegant white dial, features the popular 3,6,9 pattern made famous on the Rolex Explorer and is very easy to read. 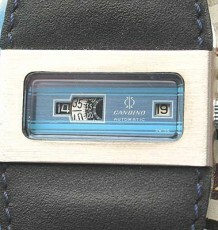 The watch head measures 16mm wide by 23mm long.